Wednesday – US – Trade Balance narrowed to US$49.3 billion in November, reflecting lower oil prices and a decrease in consumer imports. It was the first improvement in the trade gap in six months. Wednesday – EUR – German Factory Orders slumped 1.6% in December, the largest monthly fall in six months, and indicating a further loss in momentum in Europe’s largest economy. 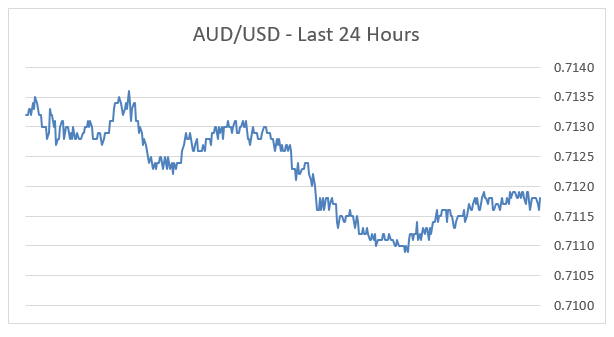 The Australian sharemarket continued its recent good run, ending the session up 0.3%, to close higher for a third straight day. The gains were widespread, with Financials, Health Care and Utilities the only sectors to close lower. Materials stocks lifted the market, boosted again by an increase in the price of iron ore. BHP rose 1.7%, Rio Tinto gained 1.9% and Fortescue Metals closed up 1.3%. Commonwealth Bank fell 1.4%, after releasing its half yearly results. Net interest margins fell 4bps to 2.1%, impacted by higher funding costs and customers switching more home loans from higher interest only loans to principal and interest. However, cash net profit lifted 1.7% to $4.7 billion. The Australian futures market points to a 0.3% rise today. European sharemarkets were mixed on Wednesday. Italian shares rose 0.8%, supported by strength among banking stocks after a new 30-year Italian bond was met with record demand. The broad based STOXX Europe 600 rose 0.2%, while the German DAX slipped 0.4% and the UK FTSE 100 eased 0.1%. US sharemarkets closed lower on Wednesday as investors weighed the latest corporate earnings results against concerns towards next week’s US-China trade talks and the potential for another government shutdown. Video game makers Take-Two Interactive and Electronic Arts fell 13.8% and 13.4% respectively, after both companies released earnings that fell short of forecasts. Snap gained 22.0% as the company announced a narrower than expected loss for the fourth quarter and managed to stabilise its users on Snapchat. Capri Holdings (formerly Michael Kors) rose 11.6% after it raised its revenue forecast. The Dow Jones slipped 0.1%, the S&P 500 slid 0.2% and the NASDAQ lost 0.4%. It is interesting how financial markets react to uncertainty. 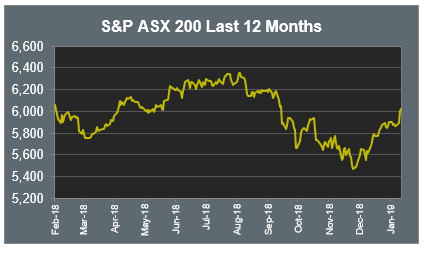 The release of the Royal Commission into banking on Monday afternoon removed a lot of the uncertainty over the banks and bank share prices had their best one day rally in nearly a decade. However, yesterday the RBA Governor Lowe was noticeably more uncertain about Australia’s economic outlook. The standout in his speech yesterday was the shift in bias from a higher Official Cash Rate to a lower one. Governor Lowe noted a major uncertainty in the domestic economy and that is the consumer. Household income growth is important to the outlook for the consumer and he noted wages growth and falling house prices as threats to consumer spending. While the removal of uncertainty saw bank share prices rise, the emergence of uncertainty from the RBA Governor saw a sharp fall in the AUD.